The national food and drug-monitoring agency (BPOM), assessed that processed fish products in Seribu Islands area are free from hazardous substances. It is based on field tests.
" 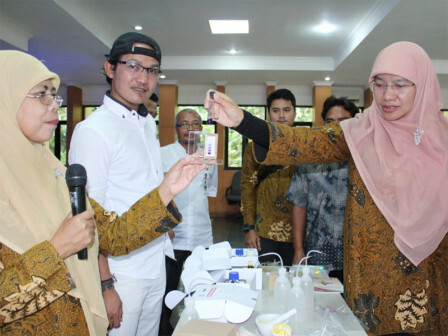 The BPOM team sees that processed fresh fish in Seribu Islands is free from formalin"
"The BPOM team sees that processed fresh fish in Seribu Islands is free from formalin," stated Dyah Sulistyorini, Head of Entrepreneurs Empowerment Sub-directorate for BPOM, on Pramuka Island, Friday (8/24). According to her, it means that entrepreneurs really know and understand that the processed fish must be fresh. It is expected that food entrepreneurs can pay attention to food distribution permits, household food industry numbers (PIRT), BPOM MD. "So there is a label in the food packaging that is bought and sold. By so, it has minimized the opportunities for food hazard, and consumers who buy will feel safer," he said.